The use of herbal leys and mixed swards became rare in the UK even from the late fifties mainly due to the rise of the commercialisation in agriculture but, the practice survived with a few enthusiasts, mainly in organic systems, or as part of specific habitat management schemes. Nowadays there is a renewed interest and farmers are seeking more information about how to manage diverse swards and how to best exploit their potential for milk production on dairy farms. This is because mixed lays can have benefits both for the pasture and animal productivity but also for the environment. Recent evidence shows that legume-based leys can maximise pasture productivity and other ecosystem services while functional diverse plant species can be optimised and fine-tuned to farm-specific needs. Diverse swards have increased above-ground biomass and greater stability of biomass production compared to monocultures while productivity increases over time. In addition, they have greater resilience to adverse weather, climate and management conditions. The aim of this case study was to determine the establishment and the productivity of diverse swards compared with ryegrass-white clover on commercial dairy farms and to determine how the evolution of the species mix varies with grazing conditions and soil type. 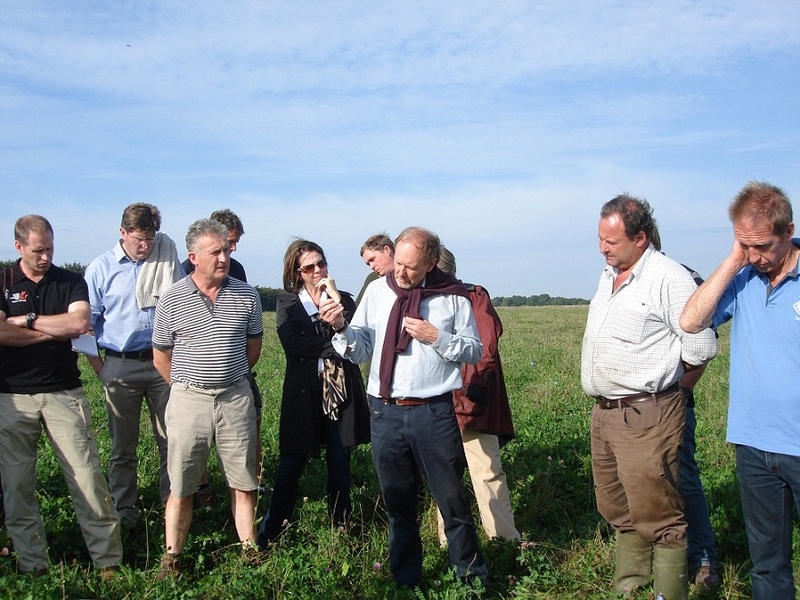 Four farms participated in this project and agreed to establish a diverse sward leyson their farms with the aim to compare its productivity with the standard leys (i.e. 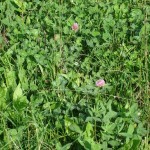 grass-clover) that the farmer normally uses. In three farms experimental swards were established by the farmer’s usual methods in spring 2013, while swards in Farm 4 were established in 2007 (the farmer re-seeds the sward every 2-3 years with the mix shown in Table 1). The content of the seed mixtures was discussed with the participating farmers and they were designed and prepared in discussion with seed suppliers and with input of a livestock consultant. On two farms one mix was designed for light, drought-prone land and one for heavier land. Both seed mixtures contained a range of grasses, legumes and herbs, designed for grazing and robustness. The farmers committed to a research protocol that defined how and when the botanical assessments and pasture productivity data collection should be done. 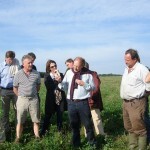 Assessments and data collection on one farm were carried out by the ORC researcher. However, contrary to our expectations three farmers did not succeed in carrying out the full assessments and the research outcomes in this study depend on the data collected form one farm only. The fact that the farmers did not succeed in carrying out the assessments highlights the importance of their involvement for the successful completion of participatory studies. 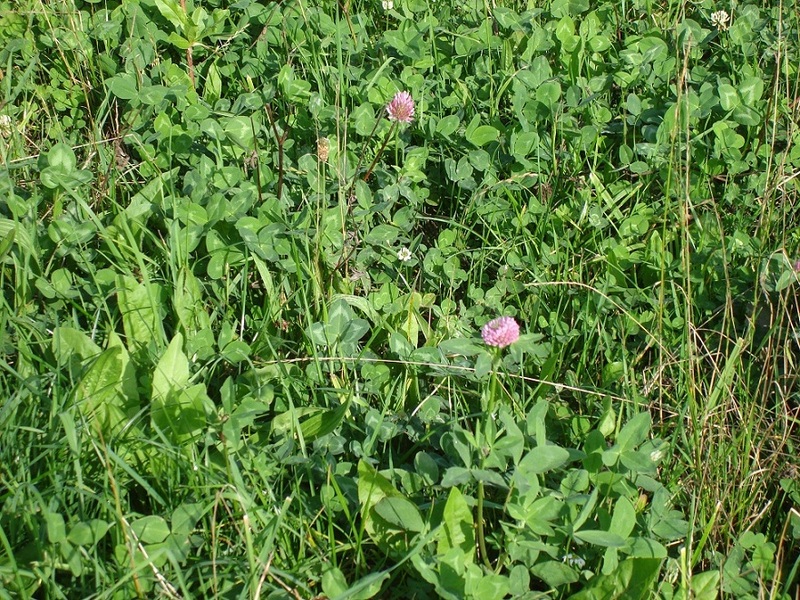 Nevertheless, the results collected from one farm only show that although pasture productivity of the diverse sward lay was slightly lower than that in the grass-clover lay, the total productivity remained relatively high suggesting that diverse pastures can serve as a viable alternative to conventional pastures.